During his career, Bublé has already completed five sold out world tours, sold over 75 million records worldwide and he is recognized as one of the world’s finest male vocalists in music today. 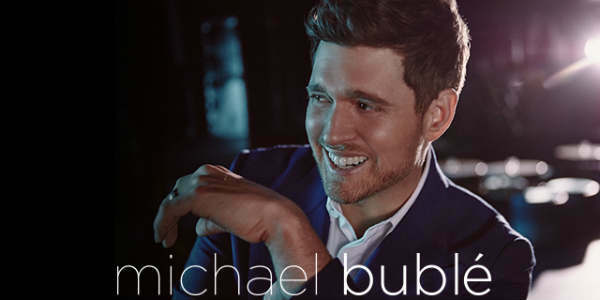 The tour, billed as An Evening with Michael Bublé, is the perfect chance to hear why he receives such accolades…not to mention a great Valentine’s date. Tickets for the Amalie Arena show in Tampa on February 13, 2019, are $65 to $139, and are available at AmalieArena.com, the AMALIE ArenaTicket Office, Ticketmaster outlets and at Ticketmaster.com. Bungalow-B members (Michael Bublé Official Fan Club) may purchase tickets during the pre-sale beginning Tuesday, November 13, at 10am. Tickets go on sale to the general public for both shows on Monday, November 19, at 10am. Every full priced ticket purchased for the tour includes a standard CD or digital copy of Bublé’s new album “Love.” Once tickets have been purchased, an email will be delivered with album redemption instructions.